Making your way through the Midwest is more fun in a Kia. Not convinced? 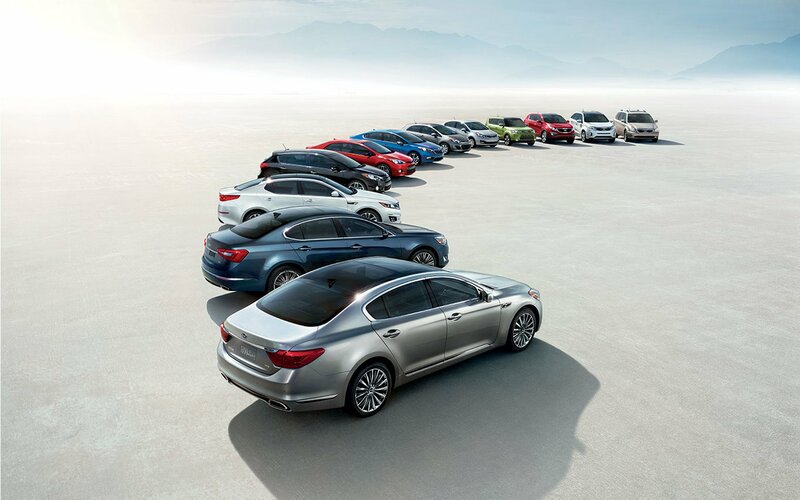 Allow the team at Kocourek Kia in Wausau, Wisconsin to prove it with our stellar lineup of new Kia vehicles and equally impressive leasing options to match. Currently, all our brand new models are eligible for driver and buyer-friendly leasing options. These options allow the purchase of a new model year in and year out, in addition to a far more flexible and likely lower loan rate than a typical car purchase. Visit Kocourek Kia today to discover more of our available leasing options. The entire Kia model layout is on display at Kocourek Kia in Wausau, WI. Hamsters aren't the only ones who drive the Kia Soul, a sporty and compact car ideal for commuters looking for a little more space. There's also the sleek Kia Optima sedan, which comes complete with a suite of entertainment features to help make daily drives and weekend road trips more enjoyable than ever before. The Kia Sorento SUV, loaded with cargo space and comfort, is the vehicle you drive to get away from it all with the people you care about the most. Come by our Wausau, WI lot today to check out the entire Kia lineup of minivans, cars, SUVs and Hybrids! Don't worry about your credit score or tight budget, because that's what leases are for! Our seasoned financing staff will walk you through Kia leases that are made to be flexible for your budget and vehicle preference. Stop by our Wausau, WI dealership today to get the scoop on how to save with a Kia lease. We look forward to seeing you!